Every time we do a show it always surprises me how well certain things do at certain venues. At Knit City this year I was mostly expecting to sell patterns and kits as opposed to ready made stuff (of course, this is a show for knitters!) but it actually did surprise me which pattern sold the most. I assumed because Rhomboid has been killing it online recently that it would definitely be the show stopper, but no, totally out of left field came the Woodcutter Gloves. I mean, I thought they would do well but they outsold like crazy! I was pretty (pleasantly) surprised to see the numbers at the end of the weekend. If you want to make your own pair of Woodcutter Gloves, you can get the pattern either on Etsy or in my Ravelry Shop. 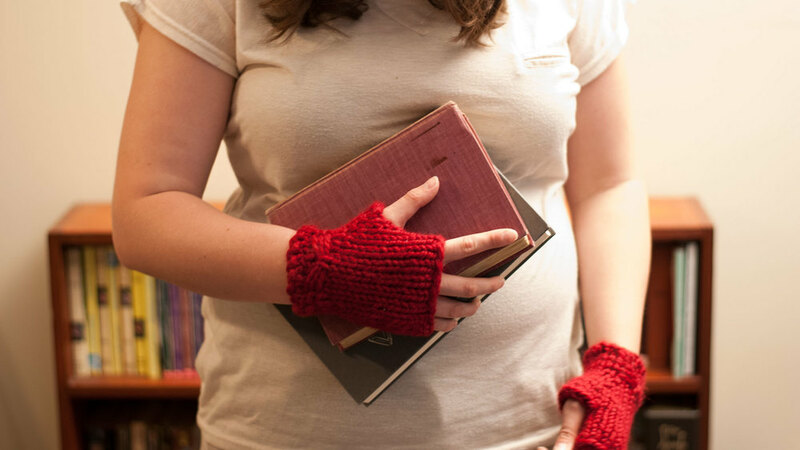 If you're looking for something a little more feminine, we also just released Study Gloves, another pattern for fingerless gloves using super bulky yarn. These ones are a little bit shorter and have the daintiest of bows on the cuff instead of the ribbing. At the moment these are only available in my Ravelry Shop.